Amrit Herbs Ayurved Pvt.Ltd. Remedies has stepped into ayurvedic research & development with the motto of providing flawless preparations to the health aspirants at large. Amrit Herbs Ayurved Pvt.Ltd Research Centre is the champion of Good Manufacturing Practices. Remarkable achievements, benchmark innovation and continuous progress without compromising standards are our strengths which brings Goodwill to Amrit Herbs Ayurved Pvt.Ltd Remedies. Adding to classical preparations our research in the field of Ayurveda enabled us to introduce many patented products of superior quality. More than 40 patented products and more than 140 classical preparations are being manufactured at the research centre. Amrit Herbs Ayurved Pvt.Ltd Remedies has well equipped research centre with latest technology advanced machines and laboratory with highly skilled human resource to handle those efficiently. At Research Centre they are collecting required well grown, healthy herbs, plants from selected farmers. Farm fresh raw materials are used for medicinal preparations. We also collect rare, potent plant species to educate the farmers to cultivate in huge quantum. We at research center searching to find out healing power of herbal preparations which have been practiced from time immemorial. Today, Amrit Herbs Ayurved Pvt.Ltd Remedies is the pioneer in manufacturing several ayurvedic medicines under one roof with modern manufacturing technology. A research lab is continuously monitoring standards of medicines with uninterrupted perennial quality. 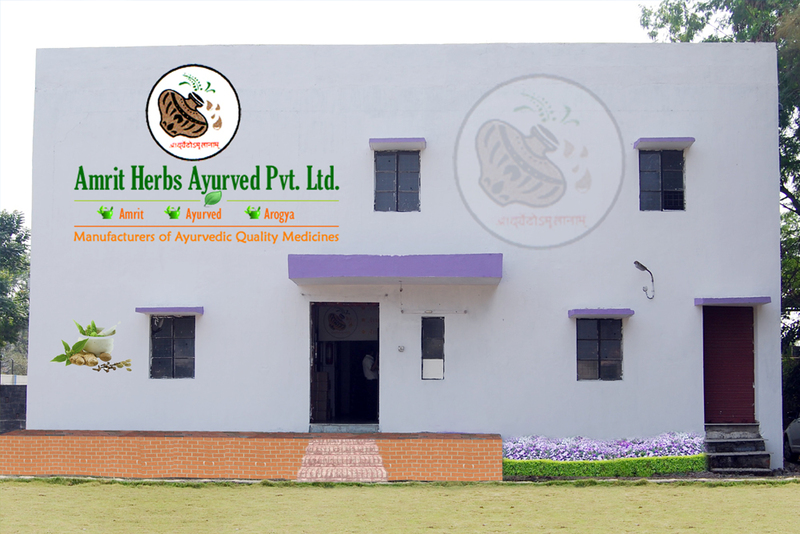 As of now, Amrit Herbs Ayurved Pvt.Ltd Research centre is producing 22 patented and more than 40 classical preparations. 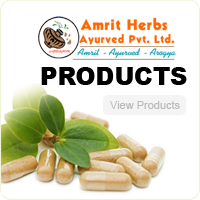 Amrit Herbs Ayurved Pvt.Ltd. Remedies has given proven medicines to the society for liver disorders, diabetes, bronchitis, gastritis, gastro intestinal distorts, hair fall, arthritis, menstrual and ovary related problems, rejuvenators, indigestion and many more.